Everyone has their own ideas and their own taste. Fortunately, we've worked with a wide array of companies and individuals, covering everything from "flashy club style" flyers, menu displays, typography heavy layouts, elegant wedding invitations, and everything in between. Design doesn't stop at static 2D imagery, which is what makes the internet so infinite. Visitors enjoy interacting with what they see and we love developing incredible user experiences. With the use of animation and sound a web site can be much more than a virtual business card. User interaction on your web site can say a lot about your company. It's true, a web site is a place for customers to gather more information about you and your company, products, and other limitless options. We have developed scripts that automatically collect new home listings, refill prescriptions, showcase new products plus many more. We've also developed a full featured CMS which will allow you to change all the content of your web site without any outside involvement. Being found on the web is a integral part of establishing an online persona for your business. Feral Technology has the know how to both help your business get more hits, make more sales, and generate leads with those hits. Whether you choose to optimize your site naturally (the listings on the left) or using pay per click marketing, we will guide you in making your site as search engine friendly as possible. This site was designed to be very easily updatable due to its function being both informative and interactive. It not onlymaintains blog functionality but encourages user interaction due to the prominance given to the comment sections. Essentially, in an era where social networking sites have all but replaced music websites, it seemed necessary to provide some incentive for people to want to use this site instead. This design was built on a strong grid with mix of texture and depth. It features an integrated store. 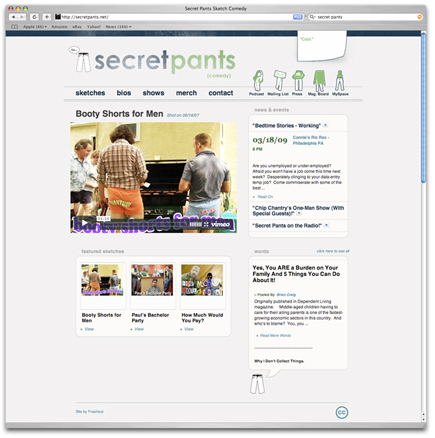 Secret Pants is a sketch comedy group from Philadelphia. From the initial client meeting I could tell this would be a fun project. 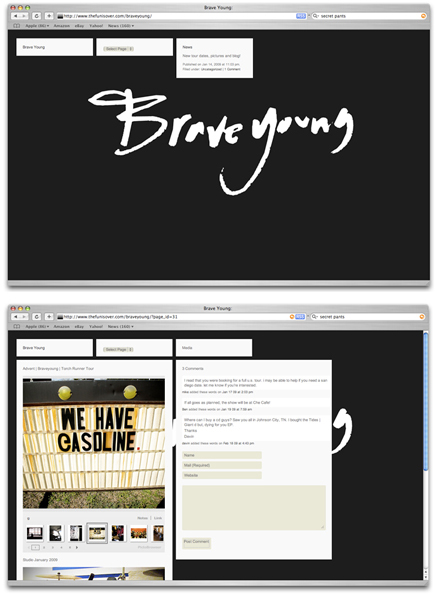 The site features Vimeo streaming video integration, a merch store, some pretty nifty AJAX funcionalty and more. I Heart Walkies is the premier pet care provider for Philadelphia and south Jersey. 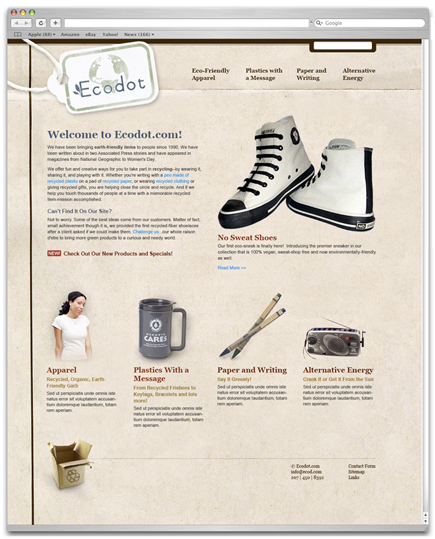 The site has tons of constantly changing content, all easily updatable via the integrated CMS.